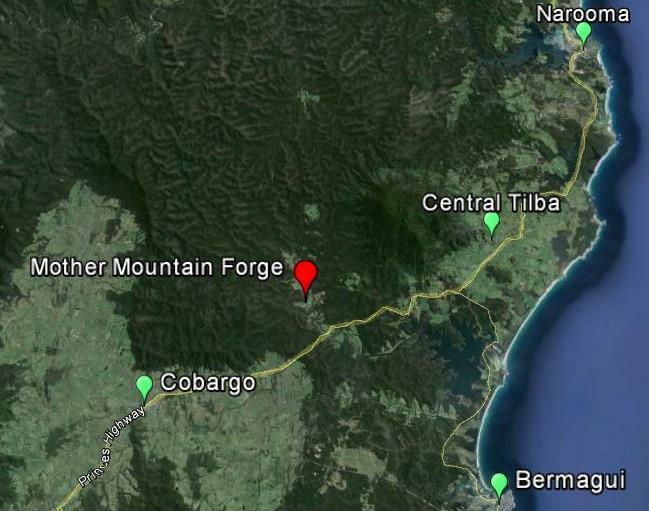 Mother Mountain Forge is a knife making and metal working business based on the far south coast of NSW, Australia, run by Iain and Sarah Hamilton. We specialise in custom made knives, Damascus steel and decorative blacksmithing. We hand make a range of knives to suit any purpose; all manner of culinary/kitchen knives and cleavers; hunting, fishing and utility knives; axes and tomahawks; ceremonial and dress knives, daggers and the occasional sword. All our knives are 100% hand made on site here at Mother Mountain Forge. Here at Mother Mountain Forge we run courses in knife making, blacksmithing, axe making, and many others. I love what I do and I started teaching myself smithing because I found the process fascinating. But it was a long and slow journey to teach myself over the last 16 years.